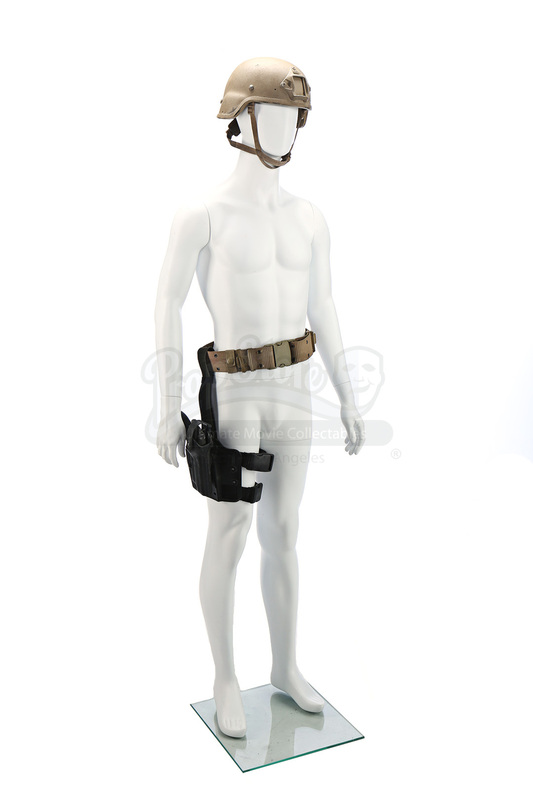 Dauber's (Kevin Lacz) helmet and gun thigh holster from Clint Eastwood's 2014 war drama, American Sniper. 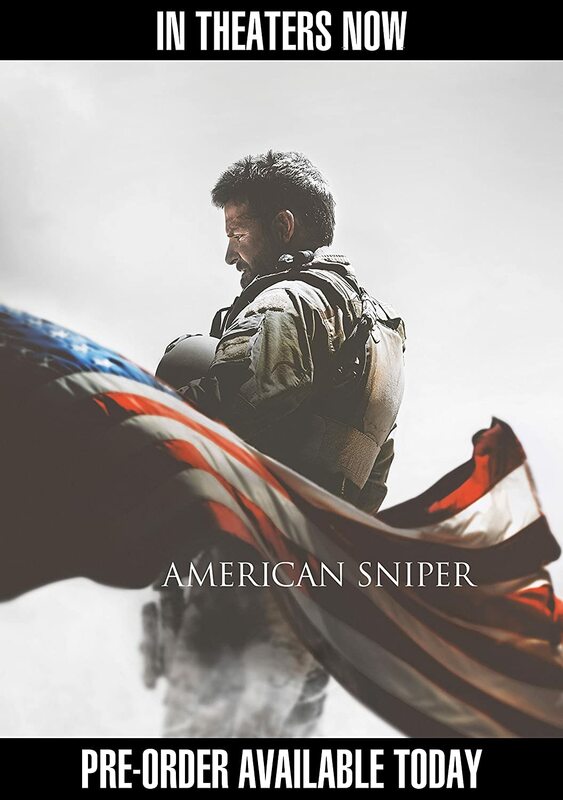 Based on the Chris Kyle's biography, American Sniper: The Autobiography of the Most Lethal Sniper in U.S. Military History, the film follows Kyle from his SEAL training through his numerous tours in Iraq. Dauber accompanies Chris Kyle (Bradley Cooper) during several tours and wears his tactical gear during missions off base. 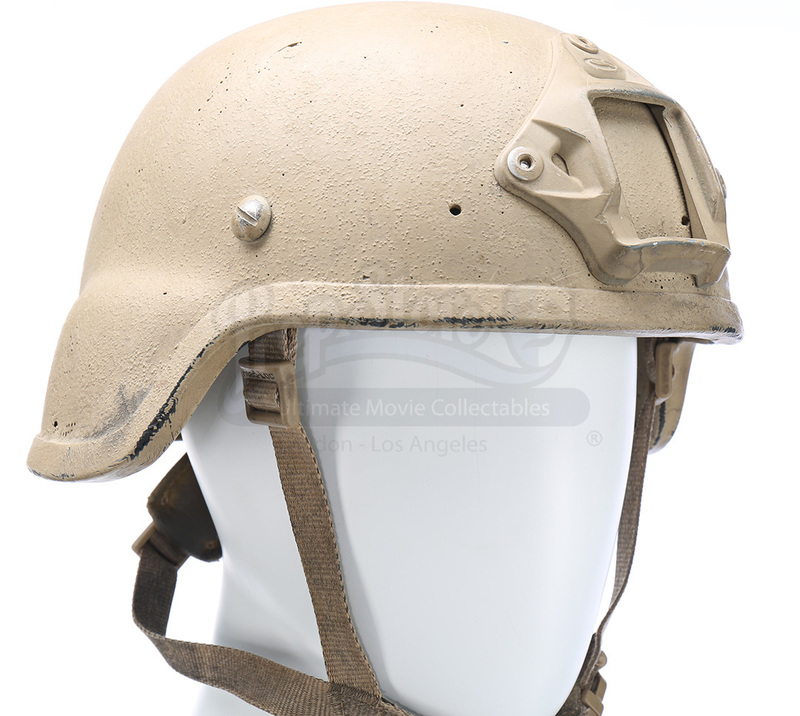 The helmet is painted desert brown and includes interior padding and Head-Loc straps. The name "Dauber" is handwritten into the right side of the helmet. 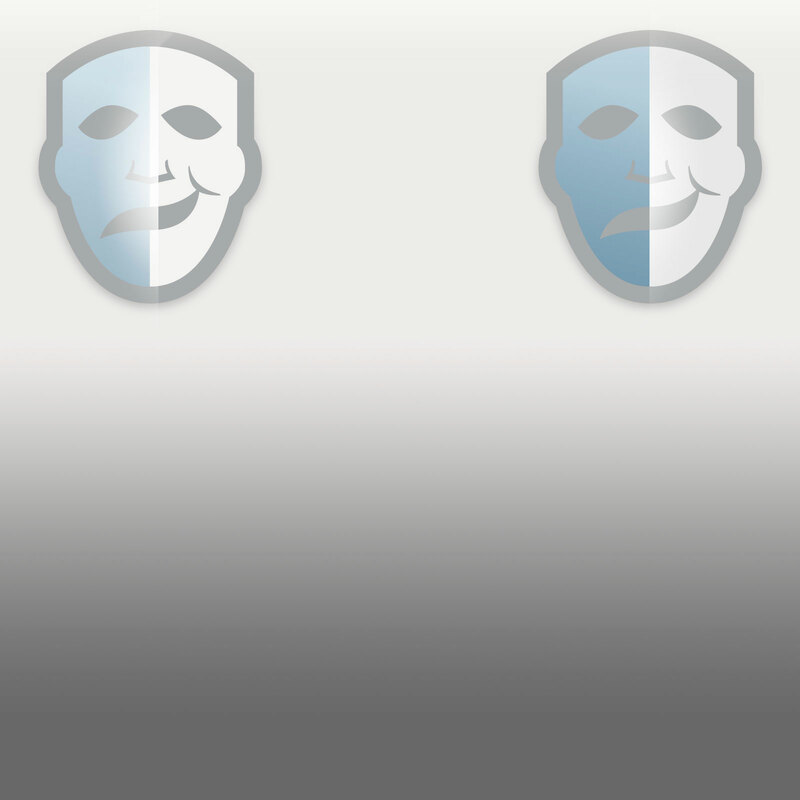 Fixed to the front of the helmet is a shroud used for mounting various optical systems along with a locking chin strap and padding fixed to the inside. 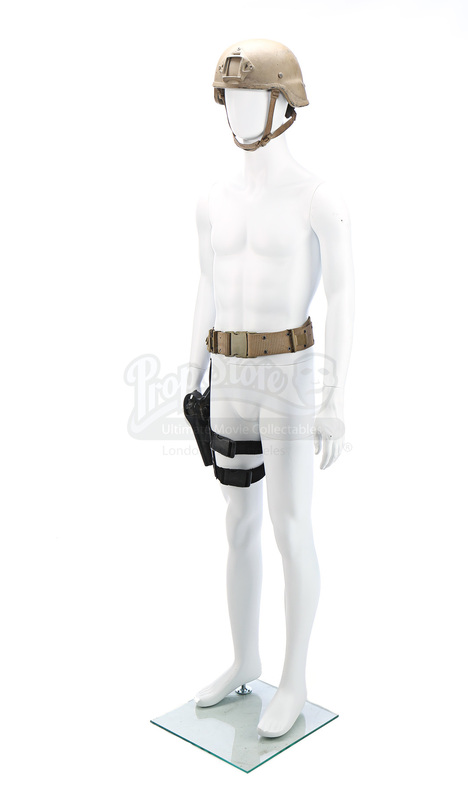 The thigh holster comes attached to a waist belt made of thick nylon with a sturdy locking buckle. 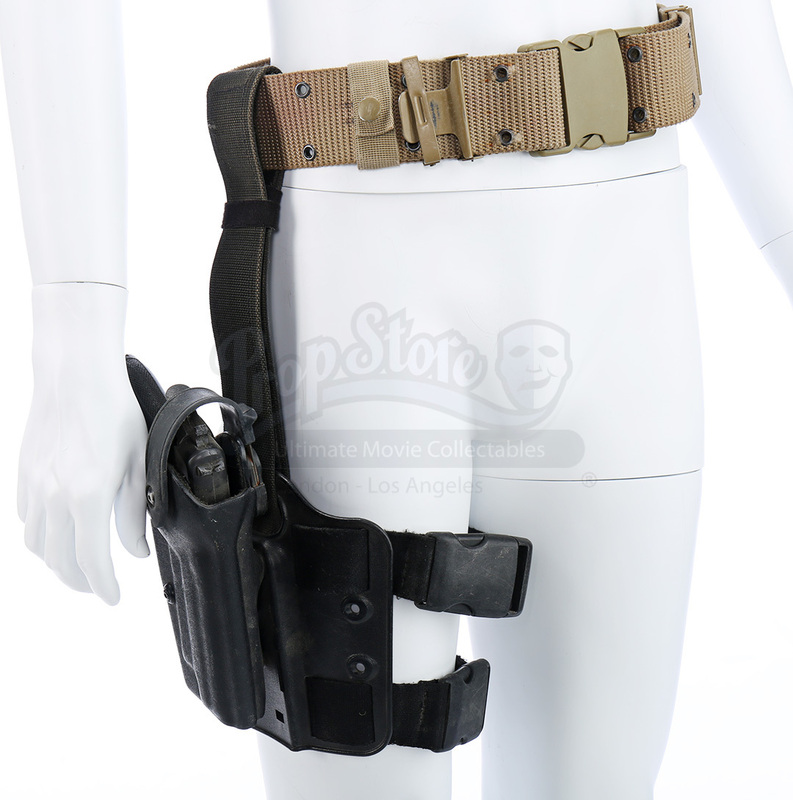 The holster itself is a plastic frame with two elastic straps that lock around the thigh. The holster also features a stunt handgun made of urethane. These items show wear from production use and exposure to sand and dirt, but remain in overall good condition. Exemptions are for N.A.R.E.S (or similar) registered re-enactors, public museums/galleries or use in a film, television or theatrical production. In all cases paperwork will be required to complete the sale.